Despite May 9 being considered the day of victory against Nazi Germany, the first Victory Parade took place on June 24, 1945. In 1949, May 9 stopped being a holiday. It was only 20 years after the victory itself, in 1965, that Soviet leader Nikita Khrushchev declared May 9 a national holiday again and ordered a military parade. 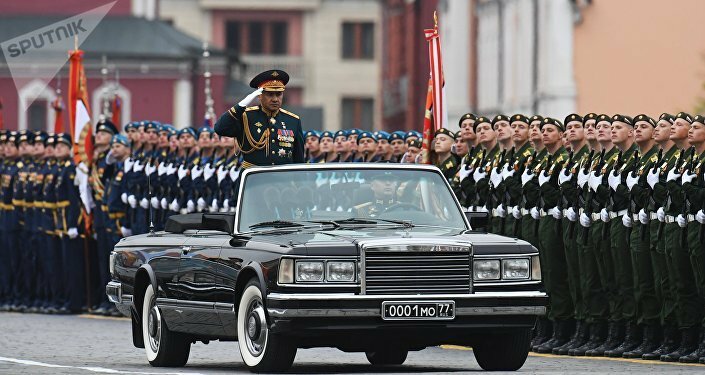 After the fall of the Soviet Union, the parades were not held until 1995 when the tradition was restored, but without military vehicles. Only in 2008 did military vehicles again take part in the parade, as did military aircraft. — Матвей Смирнов (@bormaglot_main) 8 мая 2018 г. ​2. The Banner of Victory only once made it to Red Square. The famous original Victory Banner, raised above Berlin's Reichstag in 1945, has only once been at the Red Square military parade — and it was not in 1945. Initially, the four soldiers who raised the banner over the Reichstag were supposed to carry it during the 1945 victory parade, but it turned out that, being preoccupied with actual war, the four did not receive adequate marching training; it was considered inappropriate to call any other people for this job, so the banner was not carried at all. The four did carry the original banner in 1965, though, when Khrushchev resurrected the parade tradition. Since then, the original banner is kept in a special sarcophagus to prevent its deterioration. The banner that is taken to parades is actually a very precise copy. 3. Nuclear missiles on the parade are real. Maybe, probably. There is ongoing controversy regarding whether mobile ICBMs — maybe, the most thrilling part of the parade — are real or not. There is a widespread rumor that, should an emergency occur, the Topol-M and other ICBMs will be able to deploy and conduct a launch right from the Red Square; opponents of this theory claim that carrying real missiles across Moscow is very dangerous. The idea of fake missiles has its historic origins, though. During Khrushchev's 1965 parade, several models of ICBMs were displayed for the first time. However, none of them ever made it to service. Khrushchev's bluff did make a desired impression on Western countries at the time, though. However, according to Rossiyskaya Gazeta, the missiles on modern day parades are quite real. In reality, though, there is only one way to find out — and we'd rather not. — СССР (@USSR_Is_We) 11 августа 2017 г. ​4. In 1995, there were two parades. The year 1995 was when then-President of the Russian Federation Boris Yeltsin held the first parade since the collapse of the Soviet Union. The heads of 52 foreign states, including US President Bill Clinton, UN Secretary General Boutros Boutros-Ghali and Chinese Premier Jiang Zemin, watched the parade that year. But the military vehicles did not make it to the Red Square. Instead, veterans who represented all regiments that fought in World War II marched across the square. They were accompanied by actual servicemen in historic uniform and young cadets. The military vehicles were on display at Poklonnaya Gora, a large memorial dedicated to the War located some nine kilometers away from the Kremlin. — La Russie parle (@Russia_calls) 4 ноября 2015 г. ​5. Allies took part in the parade for the first time in 2010. 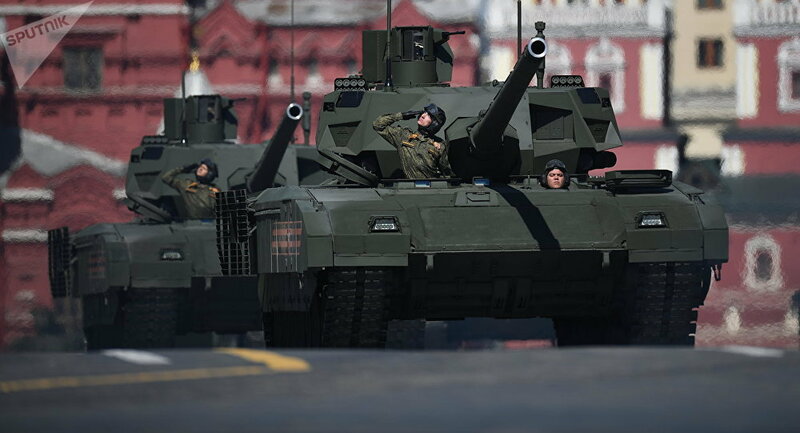 Forces from allied nations only took part in the Red Square parade in 2010, during the 65th anniversary of Victory Day. Those included servicemen from the United States, UK, France and Poland. Apart from the Western nations, servicemen from the former Soviet republics of Azerbaijan, Armenia, Belorussia, Kazakhstan, Kyrgyzstan, Tajikistan, Turkmenistan, Ukraine and Moldova took part in the parade. Before 2010, allied forces had only taken part in the Victory Parade that took place on September 7, 1945, in Berlin, on the initiative of Marshal Georgy Zhukov. On that day, the USSR, France, UK and the US participated in the parade together. — Забанун (@Dark_Lord_Ru) 25 августа 2017 г.